Bestar provides you the best range of leather banquet chair, metal banquet chair, designer banquet chair, stylish banquet chair, banquet chair and printed banquet chair with effective & timely delivery. In order to become one of the distinguished business choices, we have been instrumental in delivering to our clients a wide consignment of Metal Banquet Chair. 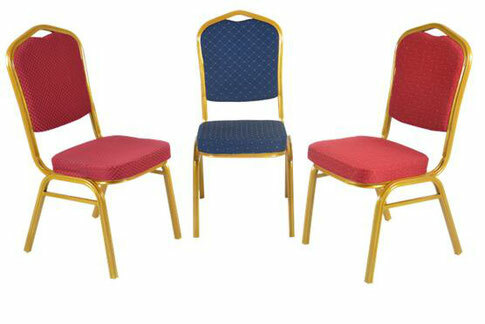 Used massively in a number of banquets, these offered chairs are hugely applauded and treasured. Also, their inexpensive costs and delivery timely altogether with our capability to meet with their huge orders have received us immense repute all over the nation.